I was born in 1968 in northern Germany, a few years later my family moved to the south and I spent all my school years trying to learn Schwäbisch, the regional Bavarian accent. But still, whenever we have patients from the North I enjoy listening to their accent. Somehow, I love and feel at home both in the north and in the south and always miss the other one. I see this as the earliest of many examples of a form of symbiosis. After school and 2 semesters of studying physics at the university of Ulm, I passed Lufthansa’s entry tests for flight school and didn’t hesitate one second to start the training. 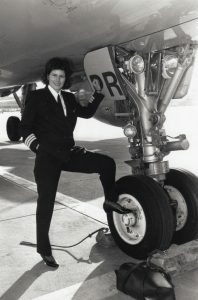 My Dad was a jet pilot with the German army, the best pilot ever, so airports and the smell of jet fuel meant a lot to me. 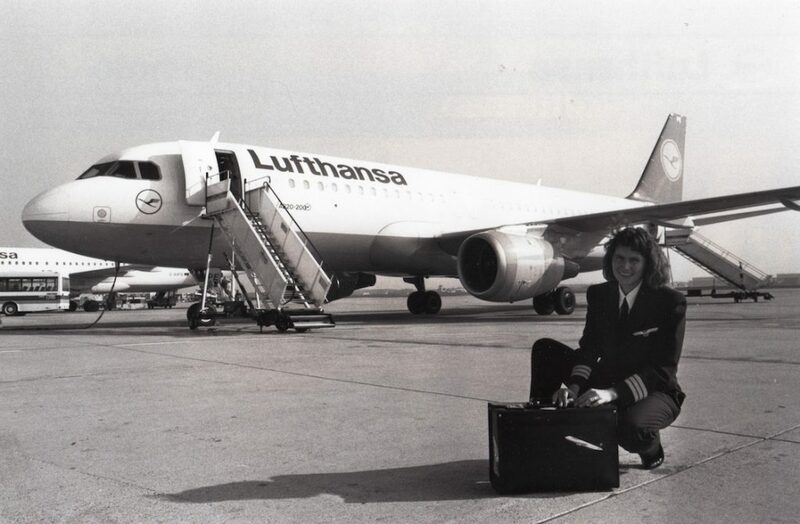 I became the first female and youngest Airbus pilot with Lufthansa and started my flying duties in August 1990 at the age of 20 on the Airbus 320 which had just come into service. But I felt torn – I had the coolest job in the world, being one of the first female pilots in Germany and invited on Radio and TV shows. The analytical part of my brain was happy – yet there was that other part of me, that couldn’t stay away from “esoteric” books, fasting and meditating. For the longest time I thought, I have to decide which side I am on and let go of the other. Again, the deepest search for symbiosis and still I was hiding those books from other pilots (although with some of them I had the greatest conversations about healthy food and positive thinking …). 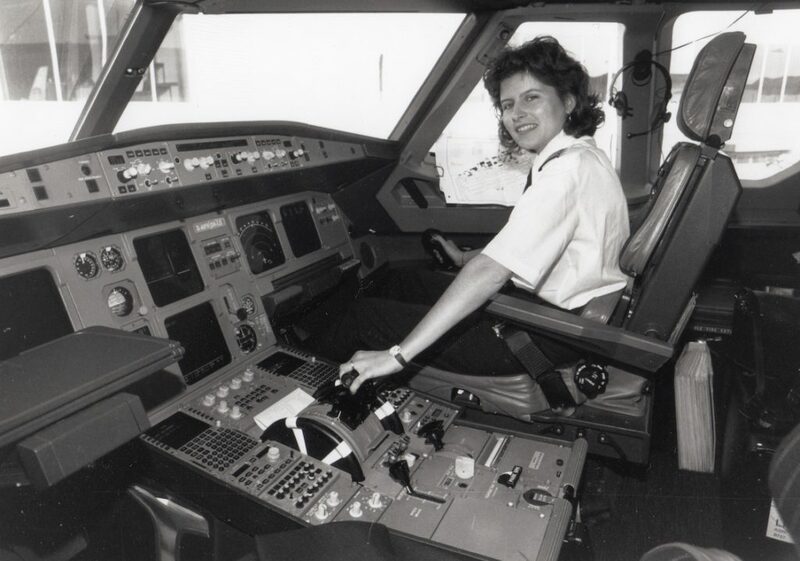 The next few years were spent enjoying family life, along with developing a computer based training program for pilots, which I think is still used to train pilots today on Boing 757 and 767. At age 34, one year after my second son was born, I found myself on a trip to a recreational park with another family, when my first born was stung by a bee and almost fainted with mild signs of anaphylactic reaction. My friend pulled out some white little things called Apis Mellifica C30 and gave it to my son, who recovered very quickly. Inspired by what I had seen and being a poor companion of ignorance, I bought my first homeopathy book by Prof. Georgos Vithoulkas the very next day. I digested it within 24 hours and later started a 3-year training course with him on the Greek Island of Alonissos and his institute near Munich. At age 34, one year after my second son was born, I found myself on a trip to a recreational park with another family, when my first born was stung by a bee and almost fainted with mild signs of anaphylactic reaction. My friend pulled out some white little things called Apis Mellifica C30 and gave it to my son, who recovered very quickly. Inspired by what I had seen and being a poor companion of ignorance, I bought my first homeopathy book by Prof. Georgos Vithoulkas the very next day. I digested it within 24 hours and later started a 3-year training course with him on the Greek Island of Alonissos and his institute near Munich. A friend who was a retired dentist asked me for my opinion on his multiple and constrictive neurological symptoms. Coming fresh from homeopathy class I applied all rules of classical homeopathy and out came his most similar remedy – mercuries. Ringing a bell, I googled “Mercury” – “Amalgam” – “neurological symptoms” and found about 3 million pages talking about Dr. Klinghardt and his research. Again, spurred on by my dislike of not knowing, I finished all the courses that were available within 9 months and passed training and certification as “Heilpraktiker”. I opened a little practice shortly after getting divorced. Later I went on to marry the love of my life from school and giving birth to our wonderful daughter Sophia, my third child. 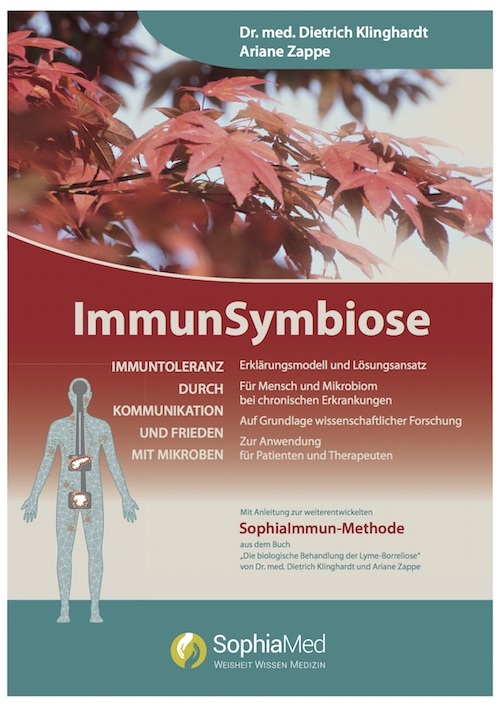 Back in 2012 the close cooperation with Dr. Klinghardt started while I was developing SophiaMatrix, a manual treatment to restore the lymphatic and fascial system, which became part of the Klinghardt’s methods. In March 2016 Dr. Klinghardt asked me to write the book about “The biological Treatment of Lyme-Disease” with him, which was on the counter just 6 exciting months later. To assist in writing the book, I stayed in Seattle at the Sophia Health Institute for 2 weeks, working and researching with Dr. Klinghardt every day. During the flight back from Seattle I came to the conclusion that we couldn’t publish this book without giving patients the opportunity to receive the full package of treatment for chronic illness in Europe. Within one week of my return, we found the place in downtown Kaufbeuren, had a team and started bringing the dream alive. Ever since, I’ve learnt every day from every patient. 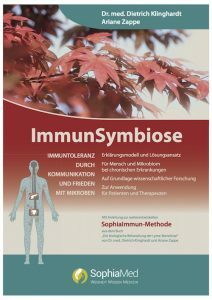 Since research is my passion, the second book with Dr. Klinghardt “ImmunSymbiose” was published in October 2017 telling the story of my life – bring back symbiosis – in that case between our microbes and us. It has dramatically changed our way of verifying cause and treatment. We no longer just treat the patient, we only apply treatments that benefit both parties – microbes and patient. With the foundation of SophiaViva, I finally had a partner who was willing to bring alive the results of my every day research and experience with chronically ill patients. This meant that new remedies could be produced “overnight”, enabling me to verify what we had the very next day in the clinic. There is so much dynamic flow, joy and fulfilment in the cooperation. 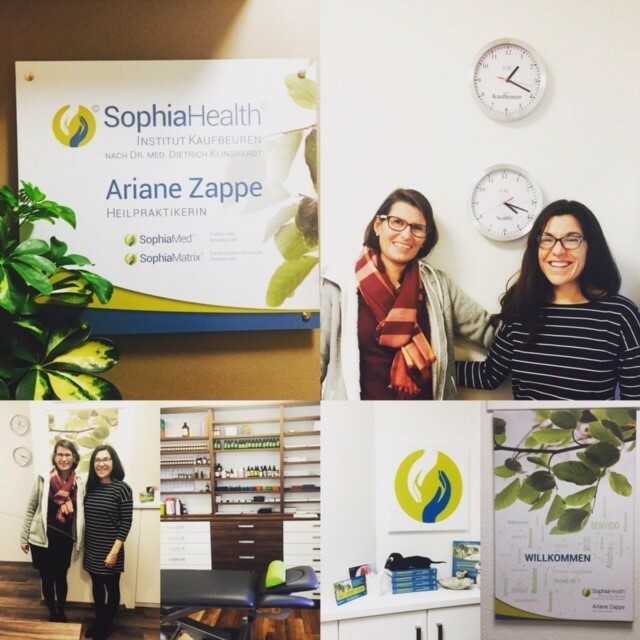 SophiaHealth Institut Kaufbeuren opened its doors on October 4th 2016 and we were proud to welcome Christine Schaffner, the head of the Seattle Sophia Health Clinic to the opening ceremony. The huge strides and successes of conventional medicine in the last few decades has been both astonishing and fantastic. I, like everyone else am very happy and thankful for any efforts that enhance medical care. Conventional medicine’s strength lies in emergency health care and surgery and I am of course hugely appreciative of antibiotics and their use in critical situations. However, when it comes to the treatment of chronic diseases and finding relief and resolution, it is apparent that complementary medicine has much to offer. Putting our knowledge and experience together for the optimum outcome for our patients is a vision, I don’t give up. If you as a patient work together with medical doctors who share that vision, I am more than happy work together and bring about protocols, which combine the best of both worlds. At the end of all research and learning every day, for me, there is only ONE ultimate conclusion: mother nature is creating miracles every day. We can develop models, however we must acknowledge they are basic and limited compared to the millions of processes that go on, in and around every cell of our body – human or microbial cell. Above all, I cannot fail to recognise and pay my humble respect to the wisdom of nature.